The Kick Bath Shower Mixer & Kit has a sophisticated design that makes a real statement. 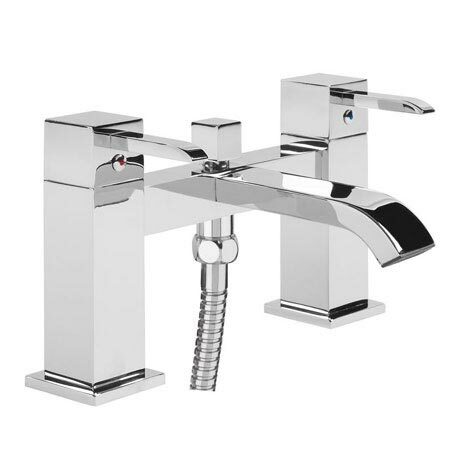 Manufactured from quality materials and finished in shiny chrome, this stylish tap has easy to operate lever handles and ceramic cartridges that allow smooth and precise flow control. Includes square handset, hose and wall bracket. Suitable for all plumbing systems with a minimum operating pressure of 1.0bar.